Mary O'Hauer weaves a laundry basket during Pioneer and Ranching Crafts Day at the Museum of South Texas on Saturday Feb. 17, 2018, in Edinburg. EDINBURG — Warm, sunny skies greeted visitors Saturday to an event that promised to take them back to the early days of the South Texas ranch country. The Museum of South Texas History celebrated its annual Pioneer and Ranching Crafts Day for the 28th year. As one of the museum’s iconic events, it’s meant to represent the indigenous heritage and culture of South Texas by taking visitors back in time to the simpler days of cowboys, cattle farms and open fields. One aspect highlighted at the event was the Rio Grande Valley’s boot industry through unique displays of footwear that included local craftsmen such as Coronado Boots, Rios of Mercedes, Moran Boots and Mandujano Western Boots, which all had booths at the event. Rene Ballesteros, programs and events officer for the museum, said the event focuses on the experiences of the first settlers who made the Valley their home. 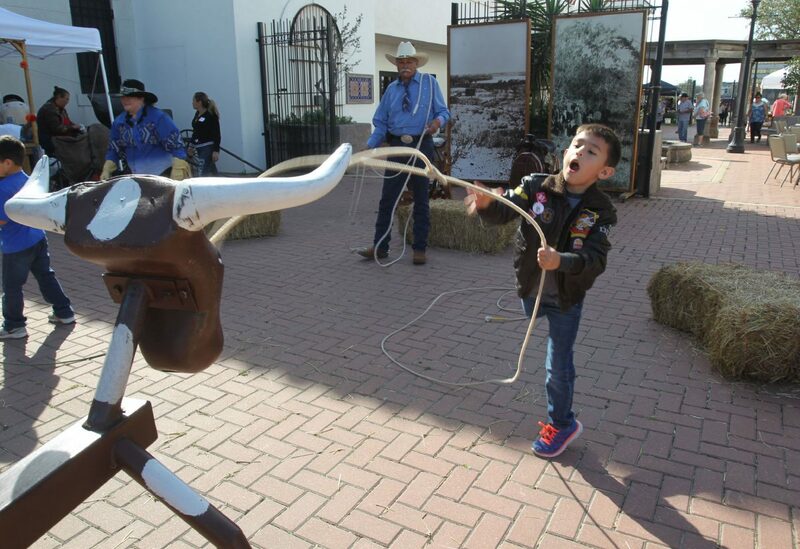 Jacob De La Rosa, 7, of Edinburg, tries his hand at roping during the Pioneer and Ranching Crafts Day at Museum of South Texas Saturday, Feb. 17, 2018, in Edinburg. 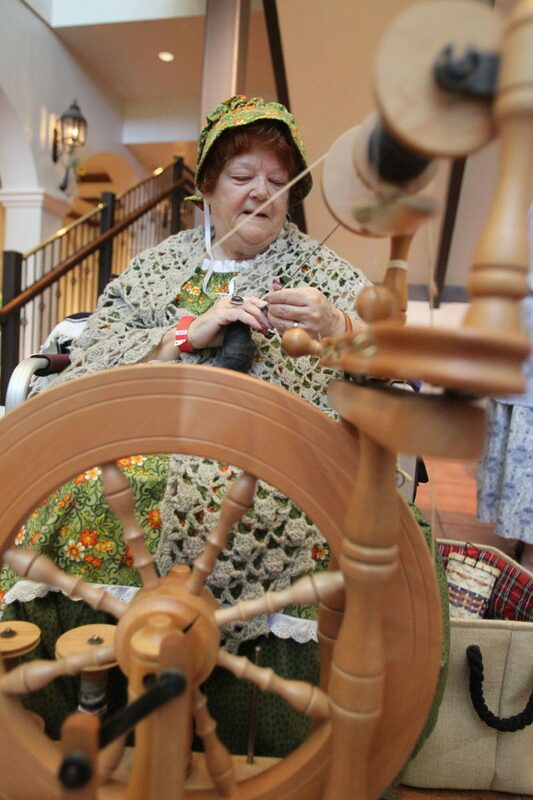 Carolyn Pullen uses a wooden spinning wheel during Pioneer and Ranching Crafts Day at Museum of South Texas on Saturday, Feb. 17, 2018, in Edinburg. 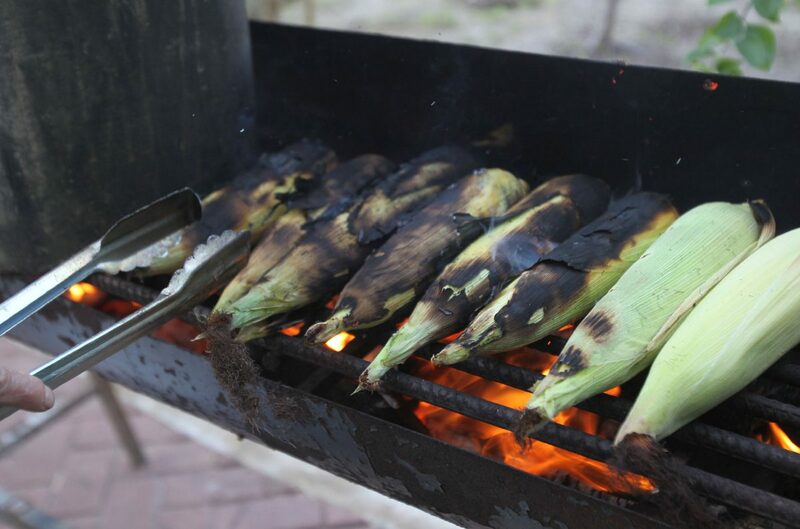 The smell of burning corn husks filled the air during Pioneer and Ranching Crafts Day at the Museum of South Texas on Saturday, Feb. 17, 2018, in Edinburg. Attendees also had the opportunity to observe and participate in some of the demonstrations, such as sewing, knitting and roping, to name a few. Anastasia Perez of McAllen is a regular museum visitor who attended the event with her family this year. She said it’s something fun to do as her three boys were outside on the walkway learning how to rope using a metal bull as a target. Perez adds that they’ve become good ropers and they don’t even have cowboy boots. 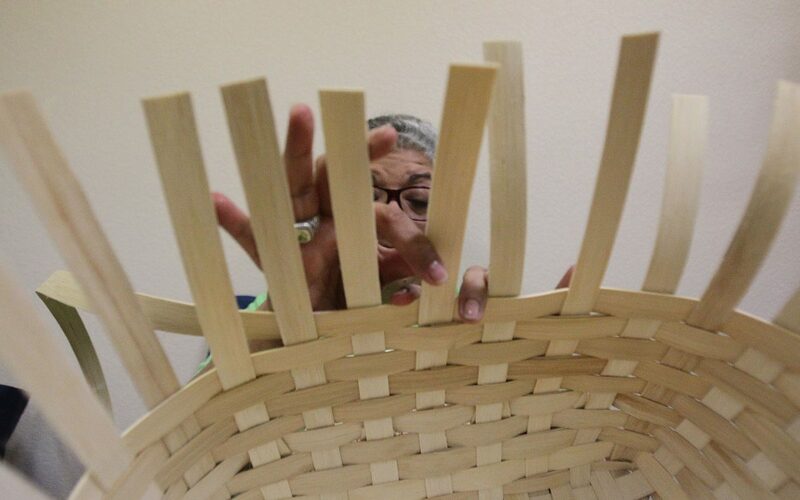 There were also teachable moments about how simple items used to be made, such as the processing of cotton and wool, learning how to weave baskets and how clay moldings were used, in demonstrations assisted by South Texas College students. Donna resident Laurel Perez attended with her parents and learned how to make a needle book in the sewing corner in one section of the museum. “It’s new because whenever I use a sewing machine, it doesn’t even work,” Perez said. While Perez said she has sewed with her grandmother, but when she works alone, the material comes apart. Perez was excited Saturday that she actually made something that was going to stick together. New this year was pony rides that were offered on the patio of the museum. Rio Hondo resident Andria Alvarez attended with family for the first time this year. “It’s for the kids — just to expose the kids to stuff like this,” Alvarez said. Alvarez’s two children dressed for the occasion in cowboy attire and boots and took part in the pony rides and a scavenger hunt along the trails of the museum. Besides the event activities, guests also had a chance to explore the museum’s exhibitions and see the rich South Texas history the museum preserves.